Are you having trouble relating to your dog? Maybe that means you are a feline loving Leo. Does the idea of having a cat litter box in your home make you feel disgusted? You might be a Virgo or a Capricorn. The theory is that the zodiac signs have their astrological equivalences when it comes to relating to their pets as well. Here is a breakdown of what types of pets serve each zodiac sign the best. You like to exercise, so a dog is always a good choice. You are better off to keep the dog a smaller breed though, as you are never at home. You also would do well with a bird. Any type of dog suits you, but ones that are calm and like to lie around and watch television with the family are the best. You also get along very well with cats as they are so gentle. You prefer cleaner animals so you are not fond of rabbits or ferrets. You love having a constant companion so a lap dog is the best choice for you. You need a pet you can travel with. Many Gemini's have pets in pairs. They often have two dogs or two cats so they can keep each other company. You do well with small furry creatures including hamsters, gerbils, kittens, and ferrets. You are also a lover of fish, because you are a water sign. Want to know more about your zodiac sign? 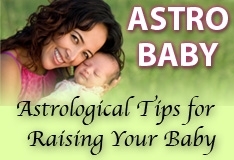 Click Here or Call 1-888-751-4333 for a FREE astrology reading. You are the penultimate sign for the cat so you enjoy the independence and charm of a feline in your home. You are not that fond of pets in general as they tend to mess up the house, but you would do well with a smaller cat that can take care of itself. Exotic pets are not for you! You are a friendly, gentle person so you really prefer a dog over a cat. Walking dogs in the park is a great way to meet new people too! You are one of the few signs that loves a snake, spider, or reptile for a pet. You also have a way with cats as to you they symbolize sensuality and the occult. You are not a pet lover as a rule because you like to travel and be free of responsibility. You do well with low maintenance pets like fish or tortoises. Some Archers are great equestrians and own not just one but several horses. You are not that fond of pets as they tend to mess up your lifestyle. You prefer a big dog that stays outdoors. You are very good at running a farm if you are so inclined. You do not like to keep pets in general, but you are fascinated by creatures of the air. Birds and bugs are your best choices for a pet. You like calm animals so you prefer a cat over a dog. You are also a major water sign so fish, especially koi fish, are not a bad choice for your sign. Im gemini and my husband is gemini and we are both big animal lovers. We have 8 cats and 3 dogs life couldn't be better!!! WRONG,WRONG,WRONG! I am a Pisces and love all animals. BUT, I absolutely adore dogs! Cats to me are ok, but I look in a dog's eyes and all I see is unconditional love. I've had dogs all my life. Fish? They're nice to look at (just my opinion), but give me a dog any day. Hello , I dont know who is writing these articles but its just not right. I am an Aquarius ! I am very much an animal lover. I have the natural ability to work with them and even through gods help I have healed sick and broken animals,meaning even those with broken legs. So what is said on here does not apply to all or even most Aquarius,as I know several who are Aquarius and love animals. So love all animals from dogs an cats to exotic animals,, keep your spiders . Couldn't be more wrong! I am a sagittarius and I love animals.I have 4 dogs, 3 cats, 2 guinea pigs, and a tank full of fish. They are all my baby's. If I could have more than I would. I to think who ever is writing these horoscopes need a little more practice! I am a gemini and your right, I love having constant companions. I have one dog and several cats who keep me content. I am an animal lover. I love and respect all animal life. I am a nature lover. I am a Pisces and an animal lover...but my favorite animal over all of them are dogs. I absolutely adore them. When I look a dog in it's eyes I can see the unconditional love in them. If I could, I'd own so many I couldn't even count. I am a Cancer, and I don't care for kittens, cats, gerbils or keeping fish in a large fish tank! Give me dogs anyday! I am an Aquarius, BIG ANIMAL LOVER, Hate Bugs (with a passion). Birds are neat but I Would much Rather have a dog or cat. I currently have had the same dog for 12yrs and would not have it any other way. My husband a Virgo LOVES animals and could care less if the house was messy. Just goes to show NOT everything about our signs applies to everyone. I too disagree with this. I am a Scorpio and I can not stand snakes, reptiles, etc. I have 3 large dogs (half great dane and half mastiff weighing about 175 pounds each) and 1 cat. 2 of the dogs sleep in the king size bed with my husband and myself and all are part of the family. I am in general consensus with everyone that this author needs to do a little more research on this subject.